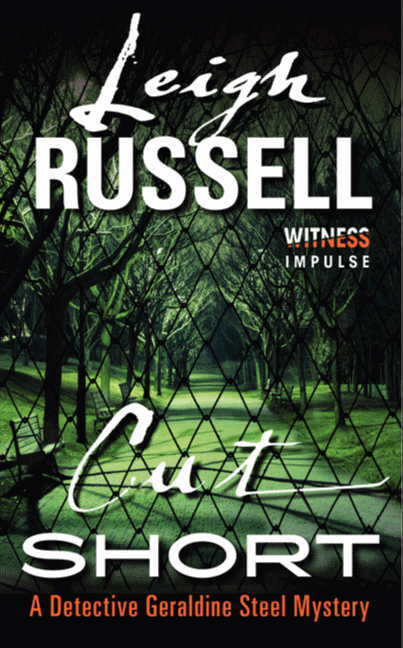 My debut, Cut Short, is published by Harper Collins in the US in November 2013, my first title to be published in the US. The book first came out in the UK, shortlisted for a major award, the Crime Writers Association Dagger Award for Best First Novel in 2010. It has been popular in the UK, as have all the other titles in the series. They have all reached number 1 on various bestseller lists on kindle sites around Europe, including number 1 position outright on kindle in the UK. Dead End was selected as a Best Fiction Book of the Year by the Miami Examiner, which calls Geraldine Steel 'one of the most interesting detectives of all time.' In the space of six months, Harper Collins US will have caught up with the UK, by bringing the titles out at a rate of one a month. They will have to slow down after April as my books come out published every six months now. I may be fast, but even I don't produce a book every month! Cut Short introduces my detective, Geraldine Steel, struggling to track down an elusive killer who is prowling the streets, murdering young women. The Golden Rule of 'show don't tell' is good advice. Don't give readers a report of what happens in your book from the point of view of an outside observer. Take your reader into the scene so that they live through it in their imagination. If your character is on a fishing boat, for example, as well as writing about what they see, make your scene come to life by describing the stench of fish, and the rolling motion of the boat on the waves. I don't agree with the other piece of advice aspiring writers often hear, to write about what you know. What is wrong with imagination? And how many brilliant and wonderful books would never have been written if we all followed that advice? It is certainly easier and generally more effective to base your writing on familiar locations and situations, but our imaginations can carry us beyond what is real into what is possible - fiction, in other words. The French playwright Eugene Ionesco wrote 'A writer never has a vacation. For a writer life consists of writing or thinking about writing.' That's certainly true in my own experience. I also like American crime writer Lee Child's response when asked how he coped with writers' block. 'Does a truck driver have truck drivers' block?' he replied. 'There are days when he doesn't want to drive but he had to because it's his job and his family have to eat. It's exactly the same for a writer. There's no such thing as writers' block. You're being lazy.' I think what appeals to me about both these quotations is that Ionesco and Lee are really talking about their passion for writing. One of the reasons I love writing is that a writer is never bored. There is always something to think about, a plot twist to unravel, or a character's action to make credible. Wherever I am, waiting in traffic, queuing in the supermarket, on the train, there is always some devious plotting going on in my head. 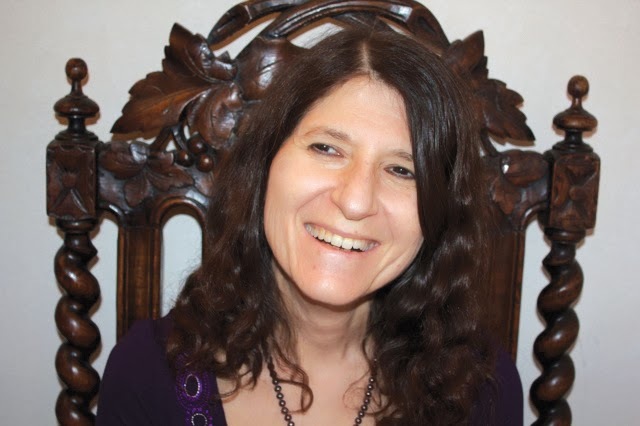 You can find out about me from my US publisher, Harper Collins, or from my website http://leighrussell.co.uk where you can also find links to my blog, facebook and twitter. You are welcome to contact me directly on my website. I always reply in person to emails, although it might take up to a week for me to respond. When I started writing the Geraldine Steel series, I didn't know my detective very well. It was like meeting her for the first time. With each novel the reader finds out more about her, but writing the series has been a journey of discovery for me as I have been getting to know Geraldine along with my readers. It took me completely by surprise when fans began to email me wanting to know what was going to happen to her. The same happened with her sergeant, Ian Peterson. I was planning to leave him out of Geraldine's second book. While I was writing Road Closed, I gave a talk in my local library to a readers' group who had read Cut Short. When I told them I was giving Geraldine a new sergeant, they all protested loudly that they liked Ian Peterson. So I kept him in, little suspecting he would feature in his own spin off series a few years later. If you like the mystery genre then I hope you will enjoy my books. You might enjoy the suspense, encounter some interesting characters, and perhaps glimpse a snapshot of life in contemporary England. As an American reviewer said, Cut Short gives 'a convincing if disconcerting feel of contemporary Britain' (The Compulsive a Reader). All I can say for sure is that my books have been well received and very popular so far. But you will have to read the books for yourself, and make up your own mind about them. The internet is amazing. You can find just about any information you need at the click of a key. All the same, I prefer to research with real people whenever I can. Here's one example selected from many. In Road Closed one of my characters works in a market. I spent an afternoon chatting to stall holders in a market, asking about their working lives, and discovered that market traders like to use banana boxes because they are strong. So when Geraldine Steel visits my market trader, she passes a stack of banana boxes in the front room. Most readers wouldn't notice that insignificant detail. If anyone who worked in a market read the scene, they might not even realise why, but it would seem authentic. That is the kind if detail that can make a narrative convincing. Does your family support you in your writing career? Thanks so much for sharing this entertaining interview with us. It sounds like Leigh Russell enjoys writing her books as much as readers enjoy reading them! Leigh's passion for writing is inspirational. It is true, there's no such thing as writers' block. There are always a million possibilities, and just as many directions to take your writing. Thank you for your time, Leigh, you are an inspiration to fledgling authors like myself! Thank you for your kind comments. We are all writers, regardless of whether we're fledglings of bestsellers. Thank you for commenting, Lance. You are quite right!